All human aspects are projections of the human spirit so ultimately it is often illusory. We don’t see reality, we understand it. (As we think it is). Whatever we see is an interpretation of reality, based on subjective, faulty, or biased examples. This has implications not only on how we understand the world, but how we understand people, and even ourselves. Track 3 and 5 are co-mixed by Thanasimons Tz. Mastering by Railway Recordings except track 2 and 7, which are mastered by the artists. Cover art by Ellie Vsi. MP3 Download | FLAC Download | WAV Download · Download count: 17,844. Yeah! Thumbs up for an amazing VA! Credits to all artists and and everyone that made it happen!! Thank you Νικόλαος !!!!! <3 !!!!! Amazing VA !!!!! <3 !!!!! Oh, yeah! 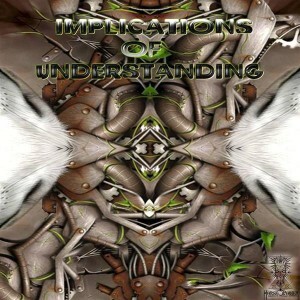 Here comes The Depth of the Implications of understanding! It is great to see a album that starts off with one of the greatest deep trance creators and then continues onwards towards Ancient Elements of sounds that feel like watching the Sunrising. A album full with adventurous sounds that will take your ears out on a Cafari. Perfect for the times you want to close your eyes, search for a Prismatic Universe and try and found how you want to Express your life. Something that might lead to Random acts of Kindness on all PlanetOids. Amazing sound and great comp. Nice Nikolaos! Keep it up! Thank you for your sounds ….it was a a great sound Power trip ! We wait for more !!! I am really digging this. Gamato! !Exw apo xthes pou to akouw,kai tha sunexisw na to kanw!! Quiet well made. I love it !!! Realy thanks for your invitation to this compilation it was an honnor for us to be in this great collection with all these amazing artists!!! !